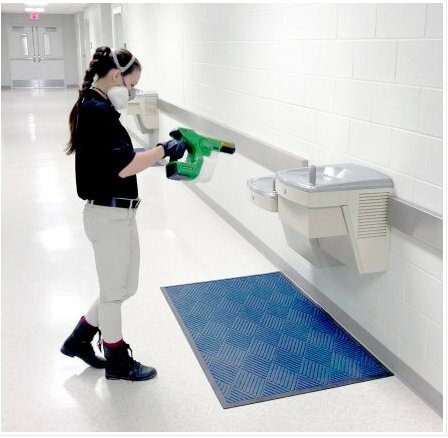 Prevent Infections, Germs & Bacteria, Reduce Absenteeism, Colds & Flu and Keep Your Facility Healthy! 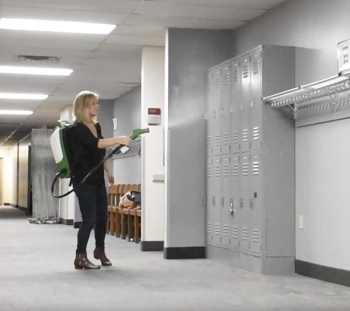 Modern Facilities Services uses SmartShield Antimicrobial Protective Spray in conjunction with an electrostatic misting application system to provide the best possible disinfection for your facility. 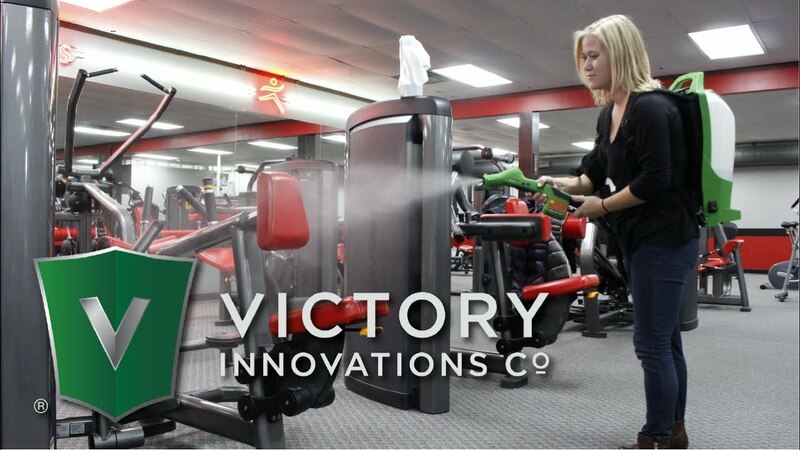 By using an electrostatic misting application system, we completely disinfect all areas killing 99.999% of all germs, bacteria and viruses by wrapping around and bonding to all surfaces, including electronic equipment. A typical room can be completely disinfected in under 3 minutes without the need for wiping. This will Greatly Reduce the Spread of Germs and Bacteria. 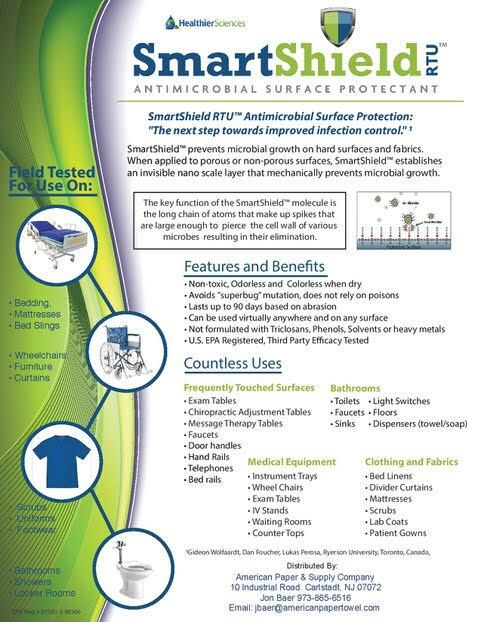 SmartShield prevents microbial growth on hard surfaces and fabrics. When applied SmartShield establishes an invisible nano layer that mechanically prevents microbial growth. The key function of the SmartShield molecule is the long chain of atoms that make up spikes that are large enough to pierce the cell wall of various microbes resulting in their elimination. This will last on surfaces for 90 days or more depending on friction and continuously prevent the build up of bacteria and germs. LET US PERFORM A DEMO TO SHOW YOU FIRST HAND!